How many books should a library have? An endlessly expanding library is neither possible nor desirable. Look, for example, how sensible the 'allowance list' was for US Navy ships' libraries during World War II. Destroyers were to have 600 books, submarines 150. In a quaint echo of early-modern practice in the libraries of Oxford and Cambridge, the ship's library was the Chaplain's responsibility. 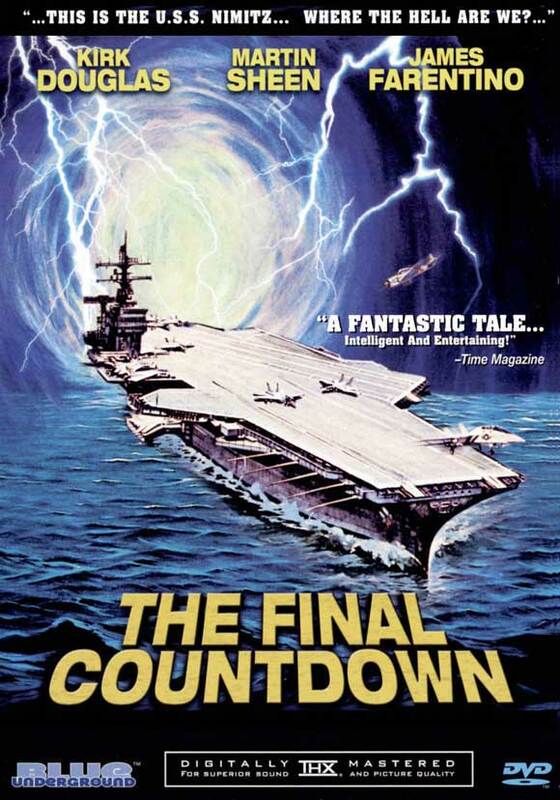 The Final Countdown is about an aircraft carrier that falls into a wormhole in the middle of the Pacific Ocean. Yes, a wormhole in the ocean, which sends the ship back in time to the eve of the attack on Pearl Harbour. 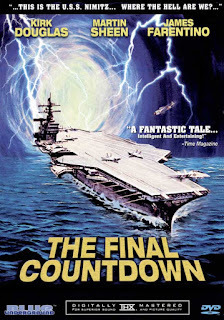 Set and filmed on the USS Nimitz, there are lots of scenes of warplanes taking off and sailors running about to no purpose. We briefly see the ship's library. Real-life sailors sit around a table, reading nervously. Others tap lifelessly on boxy microcomputers. Then alarms, klaxons, wormholes, swirly lights... more sailors running around... and shots of the Captain, Kirk Douglas, recalling that he was once an actor of note.